Thanks to its watercolor-like appearance, coffee has long been an accepted, albeit quirky, medium for artists. Inventor Ted Kinsman has now taken coffee art to the next level by creating the Coffee Drip Printer. 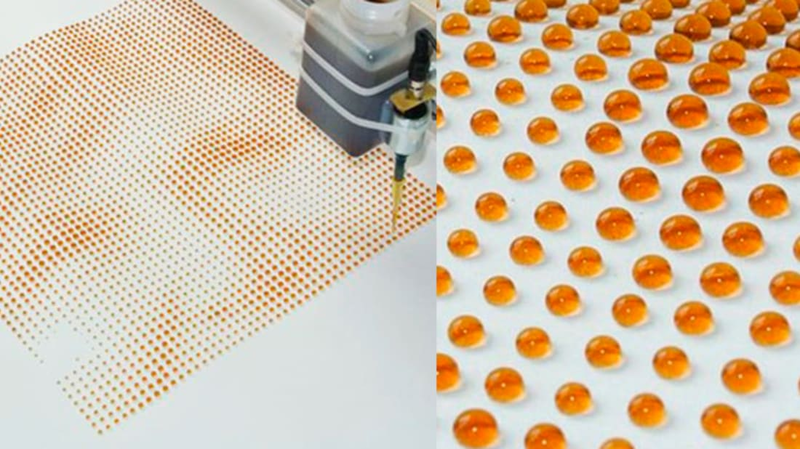 This x-y axis printer creates images by spitting out tiny droplets of coffee. The droplets fall in different sizes, with larger drops leaving darker splotches on the canvas. The printer uses an Arduino microcontroller to manage movement as well as the size of the droplets. The droplet size, nozzle distance, and paper can all be changed to create different prints. While the machine normally works with coffee, it can employ any kind of colored liquid and print on any surface. Once the droplets dry, the image takes on an unusual, mosaic-like appearance.